For Sofía Paradise Key always felt like home. She spent many happy summers with her favorite aunt and found her best friends on the island. Sofía dreams of making Paradise Key her permanent home. The local resort, a place that only holds special memories, is for sale. It needs plenty of work, but Sofía has a clear vision of what it should be turned into and would be the ideal new owner. However, she isn't the only one bidding on the resort. Nathan, the man she used to love, is after it as well. He's acting in his father's name and the resort will be one of many businesses the company owns, while Sofía is looking for a more personal approach. Who will win the bid? Priscilla Oliveras has a wonderful feelgood writing style. She describes emotions with passion, empathy and understanding. I loved how she makes her main characters interact with each other. Her descriptions of their feelings are both accurate and fascinating and they kept me glued to the pages. She combines a fabulous love story with a stunning well loved setting. I could easily picture why people would want to stay in Paradise Key. Resort to Love is a captivating, sparkling love story. I highly recommend this amazing book. If you love reading about small towns, true love and second chances you don't want to miss Resort to Love. The book is part of the Paradise Key series, but can easily be read as a standalone. I’ve always been a reader—my parents even remind me about how I won a trophy in 2nd grade for reading the most books over the summer. In high school I tried my hand at writing short stories, and I read my first Harlequin romance while waiting in a hurricane shelter with my parents and siblings in the Florida Keys. When I started complaining about being bored, my dad—yes, my dad, that’s not a typo—handed me one of his Harlequin romance novels. Voila! A devoted romance reader was born! Years later, as a married college student with a new baby, I decided to try my hand at romance novel writing. Boy, is that a book that will remain stuffed under my bed until…well, let’s just say, forever. I typed it on my handy dandy electric typewriter in one semester, put a sticky note with my name and address on the front page and mailed my “baby” off to New York. Yes, I hear your gasp of shock. No cover letter, no query letter. Nothing. Totally not the right way to submit. But what did I know? It wasn’t until later that I was introduced to Romance Writers of America by a how-to book. RWA is the premier organization for all romance writers. Through RWA I’ve learned about the business of publishing, honed my craft, and met some of my best friends and mentors. Now, five books, two more kids, countless military moves, one bachelor’s & two master’s degrees later, I’m still plugging away on my writing. In fact one of my degrees is a Master of Fine Arts (MFA) in Writing Popular Fiction from Seton Hill University. I’d recommend this program to any genre fiction writer interested in honing their craft, whether published or not. Or, if you’re not up for an MFA, but you’re interested in learning more about writing romance novels, take a look at my continuing education course offered by ed2go. “Romance Writing” is a 6-week, 12-lesson course on the craft of writing a romance novel. After my day job and my writing, in my free time I enjoy running, playing tennis, dancing, going to the theatre, watching sports (Go Cubs! Go Gators! 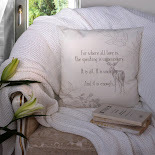 ), reading and watching romantic comedies, and spending time with family and friends. In short, I’m a proud Latina who enjoys family, fun, romance and the occasional nap in my backyard hammock. 1) Can you tell a little bit about yourself? There isn’t much I kept out of the long bio on my website. Writing-wise…I’ve been pecking away at a keyboard for a long time. But, while it may have taken a while to finally have my debut as a published author, during those years I was also busy raising three daughters, earning a few college degrees, transitioning to single parenting, staying active in my local RWA chapter, and soaking up life experiences I like to think will ultimately enrich my novels. A little about me personally…When it’s time to relax, my favorite spot is the beach. When I need to blow off steam, you’ll more than likely find me at zumba or going for a run. If my family’s together, we’re probably headed to a nearby karaoke spot or cueing up lyrics via YouTube on our smart TV at home. If it’s the weekend and there’s Latin Night at a local hotspot, my girlfriends and I are more than likely meeting up on the dance floor for some salsa and merengue. And, if it’s a warm, sunny weekend but I’ve been inside writing most of the day, odds are good I’ll carve out a little time for a nap in our backyard hammock. 2) What’s so beautiful about second chance love? Who doesn’t want a second chance to change something they regret? The opportunity to right a wrong? To show how you’ve grown or changed or overcome whatever held you back or led you to make an unfortunate decision? Second chance love is about those feelings that have been lingering, simmering, maybe forced to the backburner, but never forgotten. With Nate and Sofía, they definitely haven’t forgotten each other. No, they’ve been longing to be together, but circumstances, misunderstandings, secrets held for the right reasons, and family obligations have all combined to keep them apart. And yet, fate reunites them. That’s when the pain and the beauty of second chance love coalesces because they know how amazing they are together. The question is: Can they finally get past the conflicts in their way, or are they destined to remain unrequited love interests? Seeing as how Resort to Love is a romance, you can guess there’s an HEA. Hopefully how Nate and Sofía arrive at theirs grabs readers and leaves them sighing with satisfaction at the end. 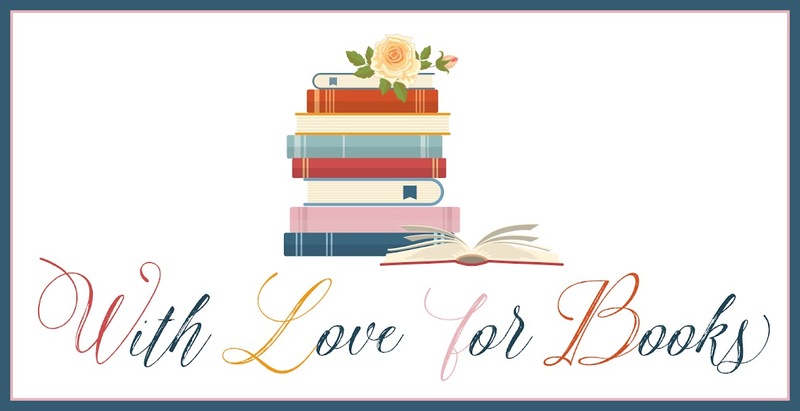 3) What inspired you to write about the resort in Resort to Love? The resort is what brought Evie and Lauren to town. It’s the reason why Sofía’s Tía Mili and Tío David moved to Paradise Key. It was a home away from home for those three. Without their tie to the resort, they never would have met Jenna and Lily. Home…familia…those are two important themes in my books. I saw the resort as the meeting place for all the girls. When Susan, Shirley, Kyra, and I started brainstorming our stories and sharing our thoughts on our characters, I kept going back to the idea of the resort being run down, in desperate need of repair to bring it back to life so it could thrive, just like the love each of the girls were destined to find in Paradise Key would make their lives thrive…that’s what I wanted to happen. The resort needed a second chance, just like Sofía and Nate needed one, too. 4) Can you describe the main characters of Resort to Love in eight words each? 5) Friendship is a very important element of the Paradise Key series, what does true friendship mean to you and how do you use this view for your stories? It means, being there for the good and the bad. Understanding that we have faults and we might not always agree, but that no matter what, you have someone on your side. The girls in the Paradise Key series are different. And yet, they’ve connected and stayed close despite distance and time apart. They “get” each other, knowing when to push and when to give someone space. In scenes when the girls are together, I tried to highlight the various personalities and how each of the girls would act or react to a situation. Jenna’s always positive, so she’s the one who runs into Sofía on the sidewalk before the town meeting and gives her a pep talk. Evie’s strong personality kicks in when she warns Nate away that first night at Scallywags. Their relationship surpasses mere friends, moving into more like sister-friends. They’re part of Sofía’s all-important familia. 6) How was it to write a series together with other authors? Shirley, Kyra, and Susan were absolutely phenomenal to work with. We bonded over our writing and the process of creating a fictional beach town, as well as our personal lives. I would totally work with all three of them again should we get the chance. More than authors, we’ve become friends. 7) You love writing romance, how did your passion for the genre start? My 11th grade English teacher’s praise for my writing planted the first seed of the idea that led me to earn my BA in English and then progress into writing. I’ve always been a reader, from Judy Blume to the Babysitter’s Club series to rich gothics by Victoria Holt. However, my love for adult romance novels flourished during a stressful time when I was a high school student stuck inside a hurricane shelter near Key West, Florida. After a couple days of confined space, I’d blown through whatever entertainment activities I’d brought and was driving my parents crazy with typical teenage complaints. My papi finally suggested I grab one of his Harlequin Romance novels from the bag of books he’d brought with him. I dove right in and am still having fun frolicking in the glorious world that is Romancelandia! 8) You have a multicultural background, what do you like most about it and how does it influence your stories? Being a Latina is a huge part of who I am and how I self-identify. Our traditions, foods, language, music, heritage…it’s important to me that those are celebrated and shared with familia and friends. That’s a big part of why I started writing romance novels with Latinx characters—to share my culture with readers, to depict the world in which I Iive. A world that’s rich with a mix of people from different backgrounds. There’s long been a call for more diversity in romance, and that cry is growing stronger. For many diverse authors, our hope is that our stories and the characters we create can and will be shared with the readers clamoring for them. 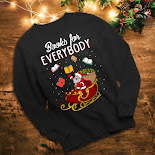 For me, my hope is that readers finish my books feeling one of two ways: 1) Like they’ve spent time with a familia that has traditions similar to theirs or 2) Like they’ve spent time getting to know characters and families that have similarities to theirs, but who have also introduced them to beautiful aspects about another culture. 9) You write about family in a heartwarming way, what does family mean to you? For me, family means a huge support system. My family/familia includes my biggest cheerleaders, yet they’re also the ones who keep me grounded. No matter where we are, when we’re together, for me, it’s like home. When I doubt myself, or need cheering up, or have exciting news to share, the first people I think to call are my parents, my daughters, my sister and brother…they’ve been through the worst and the best experiences of my life, high five-ing me or lifting me up. I’m truly blessed and lucky to have them. Sure, it’s not always happy times and we have our disagreements, but that’s real life. When it comes down to it, we know we can rely on each other. That’s what I try my best to portray in my books. I also enjoy sharing my love for the craft of romance writing. Right now I teach Technical Communication at my local college, and I also offer an online class through ed2go that’s called “Romance Writing.” It covers topics intended to help students begin forming a strong craft foundation. I’d like to branch out, possibly teach workshops for beginning authors. 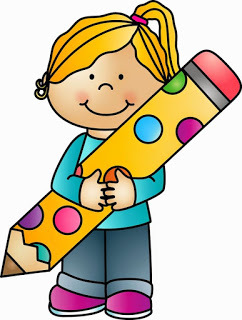 With my background in technical and academic writing, I’ve also thought about branching into editing, either developmental or copy editing/proofreading. But whether I’m teaching or editing or something else, a big part of my plan is continue sharing the stories of the Latinx characters that whisper in my ear and pray that readers love them as much as I do! 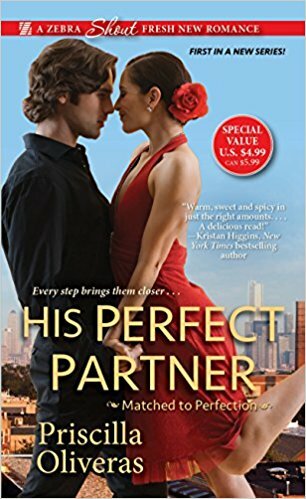 One very lucky reader of With Love for Books will receive a digital copy of His Perfect Partner by Priscilla Oliveras. 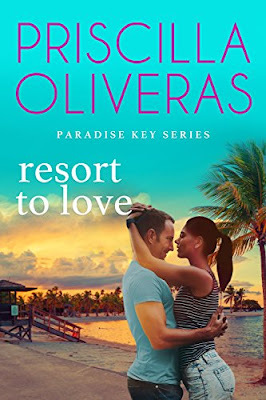 Resort to Love sounds like a sweet second chance romance and another great addition to the Paradise Key series. Resort to Love (Paradise Key Series) by Priscilla Oliveras is a wonderful well written book. Great interview! I love reading about the authors. This looks like a great summer read! OOOH that cover is sizzling hot and the book sounds a great read for the beach. Although, if you are like me, you'll also read it snuggled up on the sofa in front of a roaring fire (well radiator in my case) to read and dream of the sunnier weather to come and holidays abroad. Do you ever re-read your first attempt at a novel? You're travelling to Cape Town, renowned for its natural beauty, sophistication and efficiency, and your choice of accommodation in Cape Town will determine your experience of this amazing city at the Southern tip of Africa.